Belief in a literal Adam and Eve was once the bedrock of Christianity. Some of the most gifted thinkers in all intellectual history lived and died by this origin story. But by 1892, in a short piece titled “Extracts from Adam’s Diary,” the American literary icon Mark Twain was already openly ridiculing the idea of an original pair. How did Adam and Eve move from first parents to witty punchline? Enter Harvard humanities professor Stephen Greenblatt. W. W. Norton & Company (2018). 432 pp. $27.95. Stephen Greenblatt—Pulitzer Prize– and National Book Award–winning author of The Swerve and Will in the World—investigates the life of one of humankind’s greatest stories. 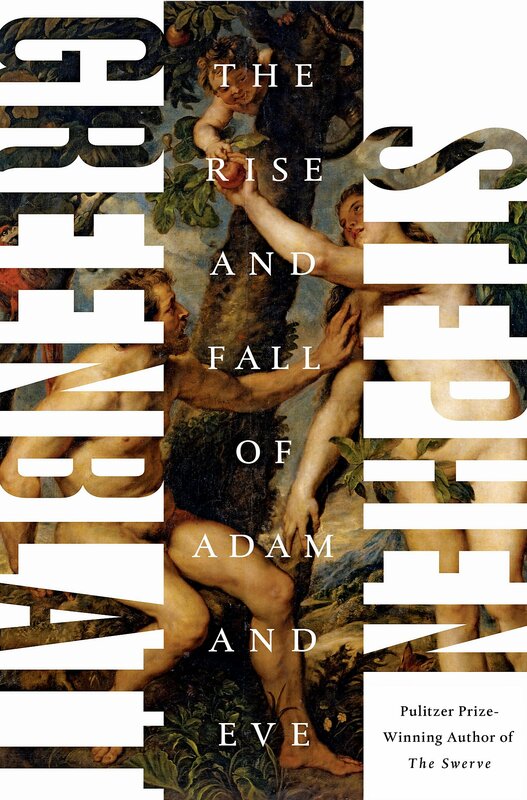 Bolder, even, than the ambitious books for which Stephen Greenblatt is already renowned, The Rise and Fall of Adam and Eve explores the enduring story of humanity’s first parents. The biblical origin story, Greenblatt argues, is a model for what the humanities still have to offer: not the scientific nature of things, but rather a deep encounter with problems that have gripped our species for as long as we can recall and that continue to fascinate and trouble us today. Greenblatt is an accomplished Shakespeare scholar and perhaps best known for his books Will in the World: How Shakespeare Became Shakespeare (2004) and The Swerve: How the World Became Modern (2011), which won the National Book Award and the Pulitzer Prize. Like most other people in academia, Greenblatt takes the story of our first parents as fictional. Nevertheless, his cultural history of Adam and Eve as a story is itself a fascinating tale. His latest book recounts how belief in Adam and Eve rose to prominence, only to vanish later in Western intellectual culture. The early chapters argue that from the beginning, readers of the biblical narrative have always had reasons to be skeptical about Adam and Eve. Genesis 1–11, for example, shares similarities with ancient Near Eastern myths like the Enuma Elish, Atrahasis, or The Epic of Gilgamesh; perhaps Adam and Eve are just as mythical. Their historical plausibility is further compromised by a range of historical-critical contentions, including the idea that the origin story was conjured up by Israel’s theologians as a political response to the Babylonian exile (e.g., 22). Even some of the earliest interpreters, doubting details in the Eden narrative, adopted an allegorical approach to those passages. Greenblatt reviews these arguments favorably and suggests that allegorizing might’ve won the day if not for the imposing figure of Augustine. Readers are then introduced to the African bishop and the pivotal role Adam and Eve played in early debates over original sin and human freedom. Greenblatt pulls no punches as he shines the light on how the traditional depiction of Eve paved the way for Christian misogyny: “By making the story of Adam and Eve the central episode in the drama of human existence, Augustine opened the floodgates to a current of misogyny that swirled for centuries around the figure of the first woman” (121). To Greenblatt’s credit, he doesn’t use this dark chapter in church history as an excuse to throw Christians under the bus; instead he reminds us that the worst misogynistic impulses of past theologians were tempered by their recognition that Eve was God’s image-bearer (133). By the end Greenblatt is grateful that he now possesses the truth of evolution, yet he also seems wistful, pining for that old myth, with its sweeping plot, aesthetic beauty, and dynamic power. All of it lost forever. Genesis 1–3 captured the premodern imagination, judging by the countless images immortalized on catacombs, sarcophagi, oil paintings, engravings, and so on. Greenblatt chronicles such artistic renditions, with beautiful laminated inserts, and then introduces John Milton’s Paradise Lost as the cultural high point of Adam and Eve. Greenblatt masterfully situates Milton’s work in its historical, political, and literary context. For many revolutionaries in the 17th century, including Milton, the Adam and Eve story implied that all human beings are equal before the eyes of God—and this gave them warrant for critiquing and even overturning the old political order. Chapter 11 shows Greenblatt in his element, as he brings Paradise Lost to life. The closing chapters tell the story of Adam’s demise, a story involving the Dutch Calvinist Isaac La Peyrère (1596–1676) who, controversially in his day, argued from Scripture that there were human beings before Adam. La Peyrère’s cautious skepticism morphed into outright mockery in Pierre Bayle, Voltaire, and other Enlightenment thinkers who laughed off the historicity of our first parents (see ch. 12). In the concluding chapter and epilogue, Darwin’s theory of evolution is the last nail in the coffin, and the biblical origin story is finally laid to rest in peace. As Greenblatt writes: “For many people today, including me, that story [of Adam and Eve] is a myth. The long, tangled history from archaic speculation to dogma, from dogma to literal truth, from literal to real, from real to mortal, from mortal to fraudulent, has ended in fiction. The Enlightenment has done its work, and our understanding of human origins has been freed from the grip of a once-potent delusion” (284). The moral to Greenblatt’s story: Adam and Eve became so literal in the minds of premodern Christians like Milton, looming so large in the collective imagination, that belief in their historicity collapsed under its own weight. La Peyrère and his descendants came up empty-handed when they tried locating details of the story within the actual world. As Greenblatt puts it, “The collective success of all of these efforts by believers—the triumphant fulfillment of the old Augustinian dream of a literal interpretation—had an unintended and devastating consequence: the story began to die” (250). By the end Greenblatt is grateful that he now possesses the truth of evolution, yet he also seems wistful, pining for that old myth with its sweeping plot, aesthetic beauty, and dynamic power. All of it lost forever. Unlike much academic writing today, this book is a page-turner. Greenblatt writes journalistically, not theologically. He draws you into the tale with intriguing details and historical anecdotes, which many readers will encounter for the first time. Some readers, for example, will be surprised to know that John Milton was 52 and blind when he started writing Paradise Lost. As Greenblatt describes it, Milton’s poem took shape after he began receiving nightly visitations from a heavenly Muse (!) who would give him the words, which he then feverishly dictated to an amanuensis the following day (see 201–03; despite the impression Greenblatt gives, I suspect that Milton intended his Muse as more literary convention than literal truth). Adam’s humanity is the same humanity God’s Son took as his own in the incarnation, making possible the forgiveness of sins. In the chapter on Eve-inspired misogyny and its history in the church, we find sober moments like this remark about Aquinas: “Even that supremely intelligent and morally sensitive philosopher Thomas Aquinas concluded that man is more the image of God than woman. The woman, he wrote is a vir occasionatus, a defective or mutilated man” (129; though see Michael Nolan, “The Defective Male: What Aquinas Really Said,” New Blackfriars 75 : 156–65). But Greenblatt also captures the comical, like the incident between the Wife of Bath and her abusive husband (from Chaucer’s Canterbury Tales)—the marital dispute revolved around Jerome’s book against Jovinian (126–27). I won’t spoil it; read the details yourself. The strength of Greenblatt’s book lies not so much in original research (experts will already be familiar with most of its insights), but in his knack for injecting color and life into arcane historical themes. Helpful endnotes point the reader to the wider scholarly discussion, though there are occasional slips—e.g., he gives the impression that James Ussher’s chronology was a minority report (191–92); hardly, Ussher was boringly typical, not exceptional (cf. Philip Almond, Adam and Eve in Seventeenth-Century Thought [Cambridge: Cambridge University Press, 1999], 83–89). Nor was Augustine to blame for the literality with which the Adam story was read; earlier church fathers assumed the same hermeneutic, and even the allegorizers accepted an underlying historical referentiality. I was also surprised that historians like David Livingstone and Peter Harrison are completely absent from Greenblatt’s book; they seem natural allies to the story he’s telling. Greenblatt tells the Adam and Eve story from a non-Christian, outsider’s perspective. On the one hand, he treats many of the historical actors fairly and avoids anachronism or trivializing their unique concerns. I commend him for that. On the other hand, the book is far less helpful at conveying the deep theological significance of our first parents. Many readers will therefore likely disagree with key elements of Greenblatt’s narrative. Theological insights are scattered throughout, but they’re cut off from their deeper, organic connections to Adam and Eve. This problem is heightened by Greenblatt’s gauzy view of Scripture. He never really questions the standard historical-critical readings of Genesis, almost all of which are debatable and often highly speculative (cf. Kenneth Kitchen, On the Reliability of the Old Testament). Taking his cues from that scholarship, Greenblatt thinks Genesis 2–3 is a creative reworking of the origin story in the Gilgamesh epic (see esp. 62–63). More significantly, the book gives the overwhelming impression that the Bible is a fallible mishmash of human writings. There’s no inkling of anything divine or supernatural about these texts, a bias that severely handicaps Greenblatt’s ability to deliver the goods. Adam and Eve may have fallen, but they will keep rising again. The Eden story is reduced to a great myth, a fairy tale, or even a nursery rhyme. Our first parents humpty-dumptily sat on a wall, Adam and Eve had a great fall; all the king’s theologians and all the king’s biologists couldn’t put them together again. Needless to say, that is not how Christians in the past or any serious Christian today would understand Adam and Eve. This man and woman were flesh and blood, the headwaters of the human story, the source of the great rupture. Adam’s humanity is the same humanity God’s Son took as his own in the incarnation, making possible the forgiveness of sins. This reticence to take the biblical narrative realistically may explain why his final chapter rushes too quickly to tie up his story. Greenblatt oversimplifies the significance of Darwin for the Christian understanding of human origins. He writes: “Darwinism is not incompatible with belief in God, but it is certainly incompatible with belief in Adam and Eve” (269). Well, not necessarily: it’s incompatible with the traditional belief in Adam and Eve. Greenblatt seems unaware of the countless ways Christians have tried to reconcile evolution with a historical Adam and Eve. While these revisionist options usually leave me unmoved, they do represent an energetic and creative dialogue between science and theology, one that is far from over (e.g., see Denis Alexander, Creation or Evolution: Do We Have to Choose? ; Henri Blocher, Original Sin: Illuminating the Riddle; Bradley Gundlach, Process and Providence: The Evolution Question at Princeton, 1845–1929; and this is just the tip of the iceberg). Strangely, none of that discussion is even hinted at in this final chapter. I recommend Greenblatt’s volume as a helpful historical guide to how Adam and Eve were understood and imagined down the centuries, by Christians and others. The analysis is full of twists and turns, told with verve and wit. Despite the theological flaws, Greenblatt has much to teach us. His book serves as a useful companion to David Livingstone’s monograph, which is more attuned to questions internal to Christianity (Adam’s Ancestors: Race, Religion, and the Politics of Human Origins). The Rise and Fall of Adam and Eve isn’t the first testimony against our original ancestors, nor will it be the last. Adam and Eve may have fallen, but they will keep rising again. In fact, they cannot die, for they heard the glad tidings of Genesis 3:15. They’re now alive in the luminous presence of Jesus Christ, alive with Abraham, Isaac, Jacob, and all the other saints, awaiting the second coming and the resurrection of the body. On that glorious day, we’ll see them walking the streets of New Jerusalem. None of us will be as we were, and we will eat freely from the tree of life (Rev. 22:2). We will not need the light of a lamp or the light of the sun, for the Lord God will give us light. And—our fairy tales will have been right after all—we will reign forever and ever. Hans Madueme is associate professor of theological studies at Covenant College in Lookout Mountain, Georgia, and is on the editorial board for Themelios.